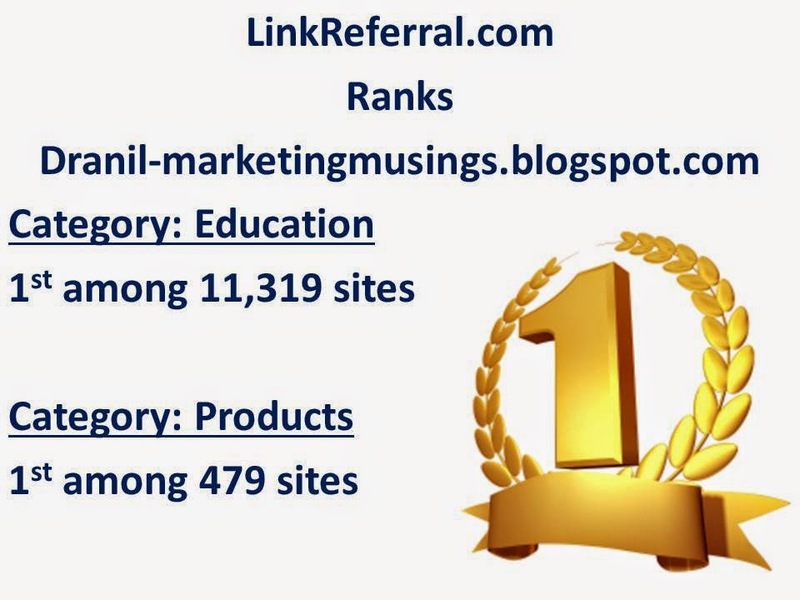 A marketing and advertising blog that carries the latest information about the current topics in the field of marketing. It is for people who always wanted to ask about specific topics but did not know where to ask them. It was one of the movies that I had always admired. It was shown in Doordarshan in the late eighties. The plot was remarkable and it got etched in my mind. Alas long time delay meant that I forgot the title. But the story line was fresh in the mind. Google search helped in zeroing on to the movie title - Baby boom. I will definitely watch it again and would make my MBA students watch it too. Useful for classes of Entrepreneurship, leadership, fight against adversity, women empowerment, risk management and even about work life balance. I would recommend Baby Boom to lift you out of that terrible depression that might strike at any point of time. It will put a smile on your face and yes in your heart too! 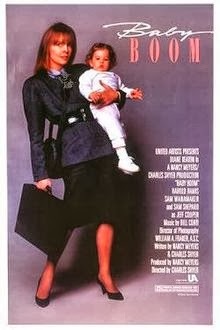 Baby boom (1987): J.C. Wiatt (Diane Keaton) is a driven career woman (nicknamed the "Tiger Lady") whose fast-paced life leaves her with no time for romance or relaxation, though she derives pleasure from her frantic schedule and demanding job. She works as a management consultant and lives with an investment banker, whose job and life are likewise hectic. Her life is thrown into turmoil when she inherits a toddler, Elizabeth (twins Kristina and Michelle Kennedy), from a deceased cousin. Caring for the child soon occupies much of her time and her business career begins to suffer, culminating in the loss of her boyfriend and job. Wiatt tries to give Elizabeth up for adoption but finds that she has grown too attached to the child, forcing a reevaluation of her priorities. She moves into a house in the country. Purchasing the home without first having seen it in person or having it inspected she finds it is riddled with problems (failing plumbing and heating, lack of water, bad roof). Suffering a nervous breakdown and on the brink of financial collapse, she sees an opportunity to sell baby food applesauce she had concocted for Elizabeth from fresh ingredients. Amid the clamor for her new products she develops a relationship with local veterinarian Jeff Cooper At first annoyed by him, she is opposed to Jeff's overtures and is focused now on as fast as possible to return to New York. Finding a buyer for the house proves almost impossible. After a rough start she succeeds in selling "Country Baby", her gourmet baby food, and soon business is booming. Finally, her old boss and his client take notice. They offer to buy her company for millions, take her product nationwide, and give her back her career and high-prestige life. On the brink of accepting, she decides that she can grow her enterprise on her own without having to sacrifice her personal life. She returns to Vermont and the arms of her new lover and adopted daughter. 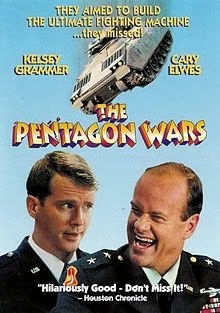 Pentagon wars (1998): The story itself the crazy process whereby a simple request for an improved armored personnel carrier for the US army resulted in the ridiculous initial design for the Bradley transport is one that should be well-known. It is the ultimate cautionary tale about a bureaucracy gone out of control. It is amazing to see the light-handed skill with which the story is told. It is funny when it should be, yet interest you sufficiently to get you really mad at what is going on and the cover up operation. Dr.M. Anil Ramesh is an M.B.A, PhD from Osmania University, (overall 7th rank, 1st In Marketing stream), Hyderabad, India. Presently Dr.M.Anil Ramesh is working as Director at Siva Sivani Institute of Management a Premier B-School based at Secunderabad, Telangana State. 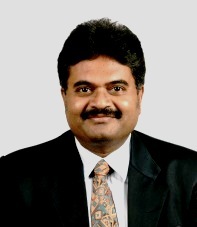 Dr.M.Anil Ramesh has 30 years of experience both in Industry and in Academics. Widely read and traveled Dr.M.Anil Ramesh is a Management expert who appeared on many TV talks and shows. Dr.M.Anil Ramesh also writes a popular column in a popular English Daily Newspaper - HANS India. The views expressed by the author in this blog are his own and do not necessarily represent the views of the institute where he works. All Trademarks,brands, logos, pictures, videos used are the property of their respective owners and are used for illustrative purpose only.